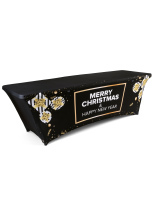 More Table Size & Holiday Design Options Available! 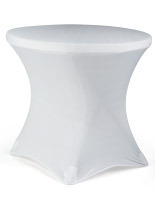 From charity banquets, to weddings, to bars and nightclubs, these spandex table covers are best choice for modern, versatile, and easy-to-use event linens! 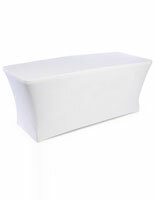 What makes these cloths so special is their elastic properties. 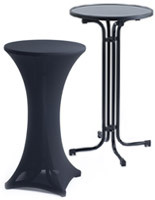 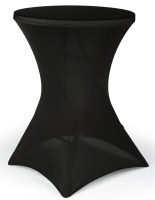 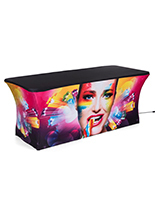 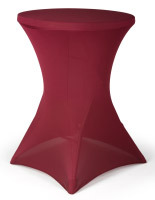 Each spandex table cover easily expands to cover cocktail tables, highboys, or 6’-8’ banquet tables in a matter of seconds. 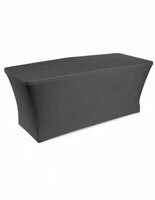 Simply stretch the table cloth over your desired fixture and slip the unit’s feet into special pockets sewn into the corners of the cover. 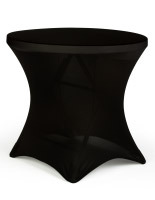 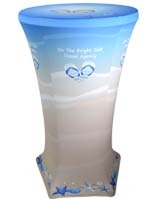 This will keep the spandex cloth stretched tight over any table you put it on! 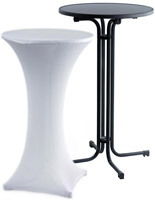 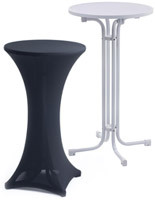 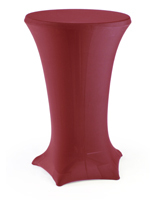 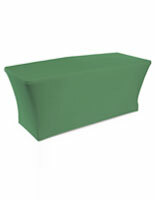 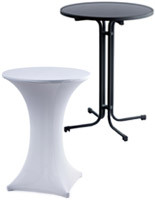 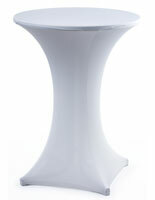 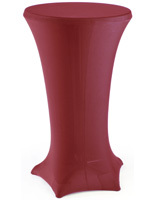 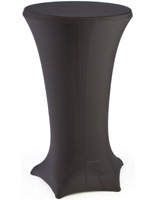 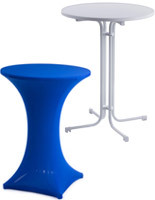 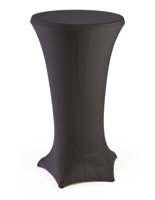 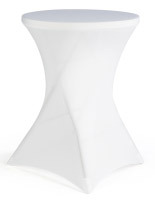 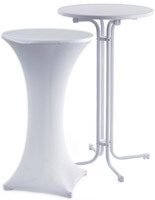 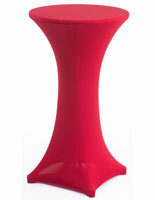 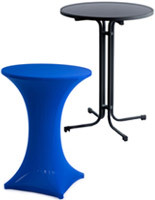 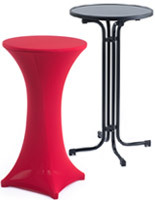 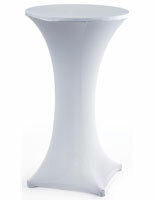 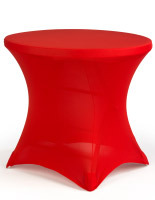 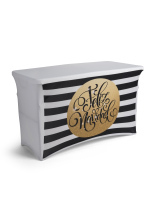 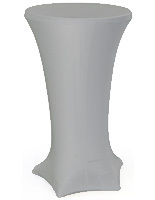 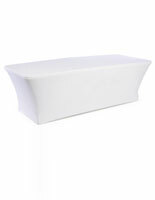 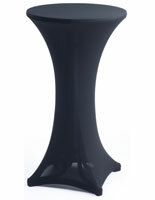 Our customers love this style of table cover due to its contemporary appearance and ease of use. What makes these table covers so versatile? 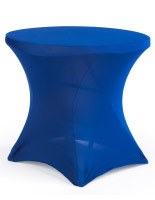 Where could you use these spandex covers? 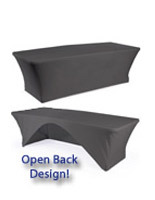 Not sure which table and cover should go together? 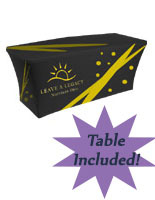 To remove any guess work, we offer table/cover combos at bundle discounts! 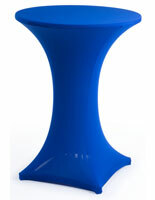 However, if you already have a table and can’t tell which cover will fit it, just reach out to our customer care team! 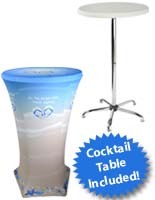 Someone would be happy to help you pick the perfect finishing touches for your next event!